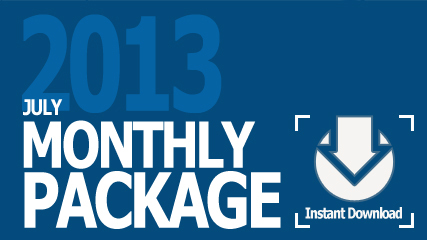 This package includes audio of all four sessions held in July 2013. You train as an evolved =Homo sapiens, as police and firemen train to do their jobs so that, when emergencies happen, you go into the new patterns; you rely on new muscle memory instead of old habits. In our boot camp, we trained you on your reactions to your triggers. But is this all there is – being good with triggers? The point is not to stay in “perfect training.” You can stay there for the next 50 years, dealing well with triggers. You can say “I’m a good little Homo sapiens on my spiritual journey.” But don’t try to get better at learning. Instead, choose to graduate. You are ready for the next step. You have gotten rid of enough baggage – and have enough awareness – to allow yourself to get into something entirely new. Being Homo spiritus is encountering your life in a brand new way. It’s living in insight in each now moment. You explore NOW. Right now matters more than whatever you want “some day.” This moment is the only thing going on and it’s absolutely ripe with fascination and infinite possibilities. You are being YOU, no matter what is going on. Take a look at a video of fractals; watch how it moves. That’s similar to how a soul encounters things; it goes deeper and deeper, inwards and inwards, in fascination, in constant unfoldment. Your brain can’t fathom this, but your body will like this, and your soul will help you with this. You KNOW this feeling. Remember magnetism. Recognize all the places where you have plenty. BE in plenty right now. Be a leader in non-duality. Release the idea of right and wrong and focus on what you really want. We’re training you to offer the energetic of infinite possibilities to this world. But your responsibility is to yourself. When you look out at the world, look deeply. “I see you trying to be safe, being a good Homo sapiens. I see you trying to protect what’s yours and trying to accumulate more. I see you AND…this is what makes ME feel safe.” When you feel affected, find where that lives in you, find what it brings up in you. Be in touch with your vulnerability. Your nun-dualistic emanation is all done energetically; you don’t have to type or say anything. But be aware of what you are adding to the energetic conversation. Are you offering a homo spiritus response? (Talks about recent progressive and technical changes in the country and world). 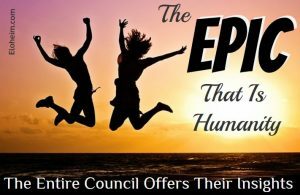 You are in the middle of an energetic revolution as well, which is far more important, and that you are leaders in. Don’t miss the wave. Be aware that you are in a very powerful, historical moment and don’t give any effort to outcome. Deepen the now. Anything you experience, let it be what is NOW. Open to the magnificence of the moment you’re in. Eloheim answered the questions listed below and introduced a new idea, the Room of Doors. For the past couple of months I’ve often experienced soreness or pain on the soles of my feet, especially when I wake up. It makes me limp for a few minutes now and again. My left wrist hurts and feels sprained. It clicks when I move it. I would appreciate it if you could read my energy and give me any insight. I am partaking in bodywork to help unravel hurt muscles and then strengthen me as my immediate first steps unto the new. I would appreciate feedback on what you may see or feel about what I may need or want for my world to flow in ways for my greatest potential. NOW I HAVE MOVED AND I FEEL TEMPTED TO BE AFRAID TO MAKE THE CALLS NECESSARY TO SET UP INTERVIEWS FOR MY REAL ESTATE CAREER, MY HIPS ARE HURTING RECENTLY. CAN YOU TAKE A LOOK AT ME AND SEE WHAT’S GOING ON? As you know I am facilitating step by step in Mother’s transition to longer term care in a facility locally. She is in respite now and money goes quickly at these rates. For her to continue this, more money via property sale or other inspired possibilities are gladly welcome. Can you look energetically at how this is going and what, if any, energetic issues are asking to be addressed? This serves me “staying on top of the pyramid” as we discussed. Tools using: step-by-step; insight-take action; watch it move; I don’t know anything; what is true now; me on top of pyramid; “plenty of”, lay it down and walk away; focus; its all me. Would you please identify, for me, the energies behind the aching I am feeling all over my body especially in my lower back and lower extremities; it feels as if all my joints and muscles are being affected. I am also feeling a kind of numbness all over my back around my spine column. I was wondering if you could speak to me about the idea of right and wrong. I have noticed this is something that I have been playing out a lot in my life. I noticed it’s something that kind plays behind the scenes for me in my decision making and I have just become more aware of it. Once I sat with it I saw how it’s always been there since I was a child. And since I have gotten older and make more and more decisions I really use it a lot as a guiding principle in not only decisions but also my opinions on things etc. Even know when I decided that I wanted to ask you about this…what I noticed is that I really wanted to ask you whether or not it’s “right” or wrong to guide my behavior so much around what is “right or wrong”? 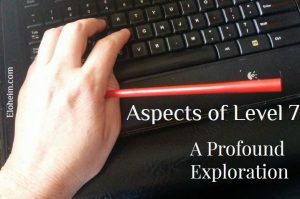 I came to the idea that maybe I should try to put it aside and just do what I want to do…while resisting the urge to label it as right and wrong….and my idea was that maybe I would actually learn more about myself without that restriction. OR maybe I am just thinking too much about the whole thing…..your thoughts? Before this meeting, I sat outside our meeting room contemplating a tree. I love trees and I’ve seen this one 250ish times, yet this night it moved something in me. Starting in that place, I knew that the meeting would be very powerful! The Guardians and The Visionaries got the night started with intensity. Eloheim took it up another notch by crafting a group exercise to help us collapse our fears. It took a bit more self talk to sooth my nervous stomach enough to fall back asleep – woke up at 1pm and had a message from my niece about a beekeeping job from a local winery! AND my husband called to say he had an extra week of work so the money would be even greater than expected! Guardians: Dig in deeper into yourself. Gather into yourself so much that, even in emergencies, all of you comes to bear. Put your focus on what’s IN you right now and let everything else fall away. Eloheim: (Set up an exercise where pairs of participants sit facing each other while making consistent eye contact. Each participant in turn mentions their fear. 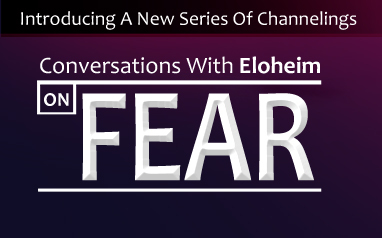 Eloheim states out loud the fear’s voices in their head, and the participant says what else comes to mind – all while maintaining eye contact and being witnessed by the other). Don’t let the voice of fear run you. You have habits of lying to yourself and you also lie to yourself about your fears. Be aware of the stories you tell yourself. Give your fears and stories your serious, undivided attention. Sit with them and repeat them. When you do this, and esp. when you are witnessed, the story and the fear crumbles. It falls apart; it ends up not mattering. And what if you find out that your “big thing” isn’t your big thing anymore? Warrior: You looked in each other’s eyes while you spoke your truth. That’s what it feels like to walk as a warrior. Cut to the heart of the matter. Confront your fears with a fierceness – not fencing with them, not dancing with them – but getting rid of them with all the ferocity you can bring to bear in the moment. Be militant. Don’t dally with the fears. Cut the rope! Fred: Tonight you felt how to dig in, fractal-like. It’s you that’s unfolding, not what is outside of you. It’s YOU – the sculpture sitting within the marble sculpture block all this time — that just needs the chipping away. The fears and all the worn-out neural pathways have given you the illusion of certainty. But any time you look for certainty, you’ll find something low-vibrational to meet that need. No longer want certainly so badly that you’ll take the pain. All of that deserves to be cut. Girls: You love yourselves more than you did when you arrived here. It’s about not letting fear tell you who you are and calling it on the carpet. What’s underneath is love. Self-love is your natural state of being, already there within you. It just needs to be uncovered.